Northwest Arizona is home to the Grand Canyon, one of the United States' famous landmarks. This region of the state is also home to a variety of snakes. Most of northwest Arizona's snakes are nonvenomous. Northwest Arizona's snakes usually live in rocky terrain and scrublands of the Sonoran Desert. Three species of nonvenomous kingsnakes live in northwest Arizona: the milksnake, Sonoran Mountain kingsnake and common kingsnake. These snakes earn their moniker from their proneness to eat other snakes, including other kingsnakes. People often mistake the milksnake and Sonoran Mountain kingsnake for the venomous coral snake; the milksnake and Sonoran mountain kingsnake have red-black-yellow or white patterns, while coral snakes feature red-yellow-black patterns. Mohave, western, black-tailed, speckled, Arizona black and western diamondback rattlesnakes are native to northwest Arizona. The largest of these, the western diamondback, grows up to 7.5 feet when fully mature. As their names imply, rattlesnakes have rattles at the tips of their tails. 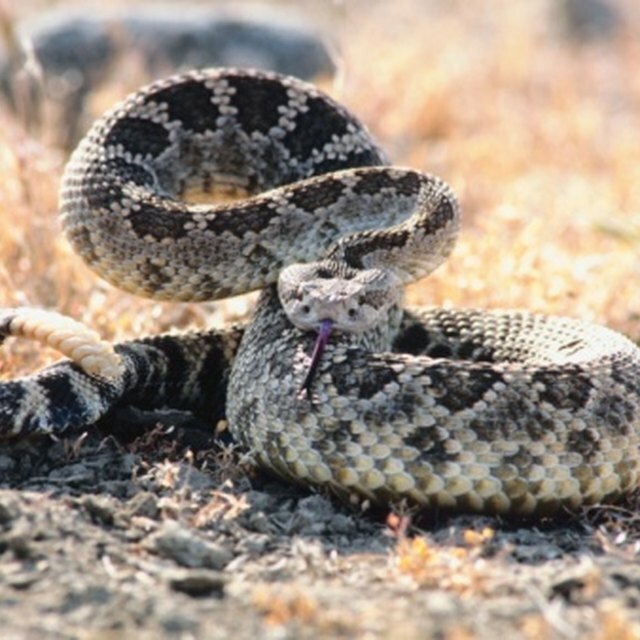 When threatened, rattlesnakes shake their tails to ward off humans or predators. 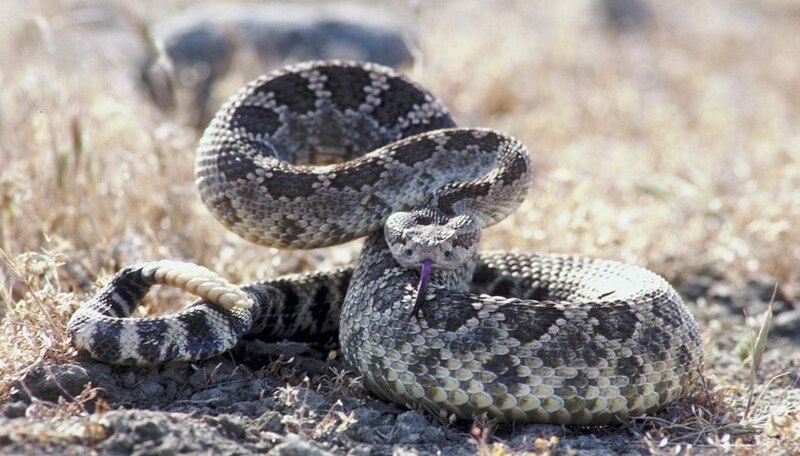 All rattlesnakes are venomous pit vipers, or snakes with facial pits between their eyes and nose. Facial pits have heat sensors that help rattlesnakes detect the heat from warm-blooded animals. Racer snakes are thin-bodied snakes which are able to move quickly. Two species of racers in northwest Arizona are striped whipsnakes and coachwhips. Coachwhips are one of the longest nonvenomous snakes in Arizona, growing up to 8.5 feet. Striped whipsnakes have long stripes running from head to tail, while coachwhip scales have a braid-like appearance – similar to the whips used by stagecoach drivers in the 19th and early 20th century-era American West. Both snakes are able to live at elevations over 7,000 feet. One venomous species, the Sonoran coral snake, is native to northwest Arizona. This snake is an elapid, meaning its venom-filled fangs are near the rear of its mouth. Sonoran coral snakes have round eye pupils, as opposed to rattlesnakes, which have slit-shaped eyes. Rather than rattle or hiss, eastern coral snakes make a sound called "cloacal popping" to confuse predators. These snakes grow up to approximately 2 feet. Some of northwest Arizona's other nonvenomous species and subspecies are Arizona glossy snake, rosy boa, Sonoran shovel-nose snake, ring-necked snake, desert nightsnake, Sonoran gopher snake and groundsnake. All of these snakes are colubrids, except for the rosy boa, which belongs to the boa family. Boas give live birth, while colubrids are oviparous, or egg-laying species. Rosy boas curl up to defend themselves against humans and predators. Colubrids slither away or shake their tails in an defensive manner. Davis, Skip. "Snakes of Northwest Arizona." Sciencing, https://sciencing.com/snakes-northwest-arizona-10007709.html. 24 April 2017.